Many precious historic buildings have been lost in Edo (old Tokyo) due to fires, floods, earthquakes and warfare. In 1993 the Edo-Tokyo Open Air Architectural Museum opened for the purpose of relocating, restoring, preserving and exhibiting historical buildings of great cultural value that cannot be preserved at their original sites and has made possible the passing down of these valuable cultural heritages to the next generation. The museum is located inside the huge Koganei Park near the atelier of Studio Ghibli. Miyazaki Hayao is known for being a fan of this museum as well. Some buildings are portrayed in his masterpiece "Spirited Away". The tour starts by observing a house by Kunio Mayekawa who worked under Le Corbusier and Antonin Raymond and contributed to the development of modern architecture in Japan. 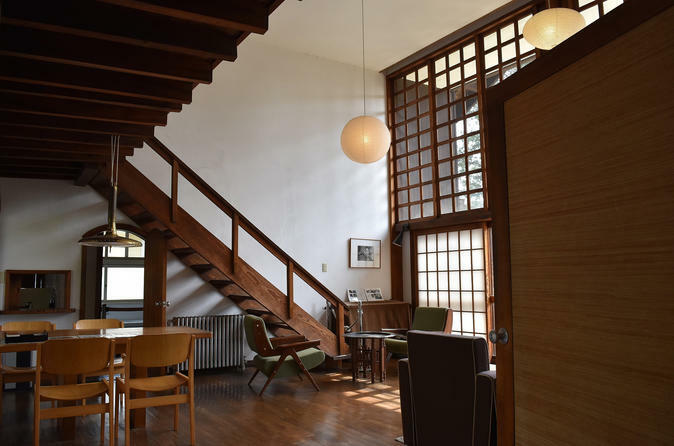 The house was built during the Second World War, however Mayekawa’s sophisticated design influenced by world-renowned architects still attracts many visitors. The next site is a house by Koide which was designed by the architect Sutemi Horiguchi who introduced Dutch architecture for the first time to Japan. The house was built in 1925 just after Horiguchi returned from a trip to Europe. The Art Deco style and De Stijl (Duch for “The Style”) composition are also seen in the traditional Japanese rooms and it’s very unique. After that, we can see the luxurious interior decorated in the residence of the Mitsui family which is said to be one of the richest families in Japan. The latter half of the tour can enjoyed especially by Ghibli film fans. Many familiar scenes which appeared in “Spirited Away” including the bathhouse, Kamaji-the boiler man’s studio, one-way train and so on are found in the downtown area where a lively atmosphere can be experienced. There are plenty of photo spots and you can enjoy the day even after the tour.